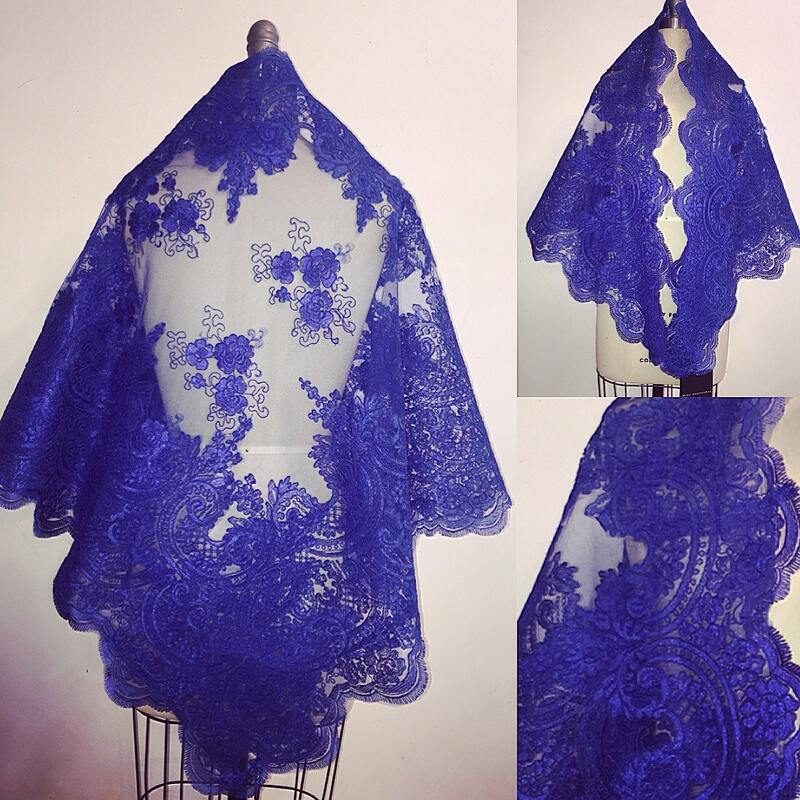 Irina Shabayeva Royal Blue Lace Shawl. Comes in white, ivory, black, red, and custom colors. 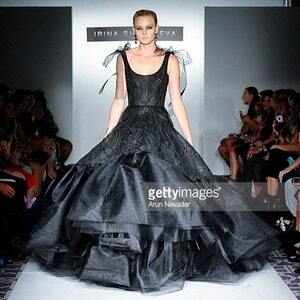 Irina Shabayeva Lace Applique tulle ballgown with extra long train. Comes in custom colors ..